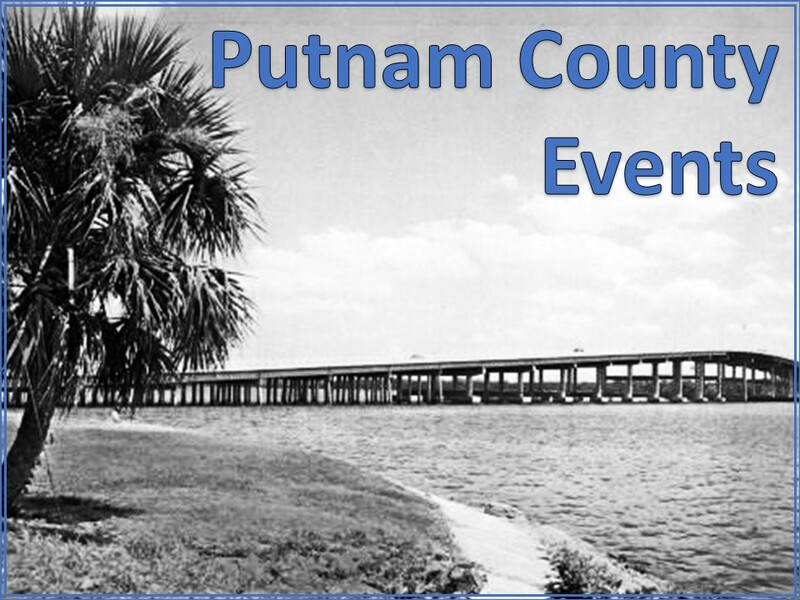 PALATKA – The libraries in Putnam County are bees of activity this month. SEUSS READ-A-THON: Celebrate Dr. Seuss’ birthday with the Putnam County Library System by reading as many Dr. Seuss books as possible through March 23. After completing a book, just check it off on the log. If you don’t see any Dr. Seuss books on the shelves, be sure to ask the librarian at the Front Desk. We’ll be keeping some behind the desk for patrons to read while they’re in the library. For more fun event listings, visit our website at FunInPutnam.com. CALLING ALL SCHOOL AGE INVENTORS! The “Make Life Easier” Invention Convention @ your local library is going on now! Tell us all about your creative idea or invention that will make life easier or tell us about your favorite inventor (living or historical) or favorite invention. There are two age divisions: 6-10 and 11-18. One grand prize winner will get a brand new 3D printer! First, second, and third place prizes will be awarded in each age group at each branch with one grand prize (3D printer) awarded for the top competitor. Winners at each branch will compete via video entry (recorded at the library) with winners from ten branch libraries across two counties (all five branches in the Putnam County Library System and all five branches in the Levy County Public Library System). Prepare your entries now – through April 14. Competitions at all five branches will start the week of April 8-14 (National Library Week) with some competitions occurring just after April 14. Parents: for more information including tips for a quality tri-fold presentation board, what to include in an inventor’s journal, and more: pick up an “Inventor’s Guidebook” brochure at your local library, FunInPutnam.com or contact jeremy.yates@putnam-fl.com. CELEBRATING NATIONAL LIBRARY WEEK APRIL 8-14: The Putnam County Library System is celebrating National Library Week April 8-14 with customer appreciation days and special programs. More information will be available soon! National Library Week is an annual celebration of the life-changing work of libraries, librarians and library workers. Libraries aren’t just places to borrow books or study—they’re also creative and engaging community centers where people can collaborate using new technologies and develop their skills and passions. Libraries of all types have long been evolving to meet the needs of the communities they serve and the Putnam County Library System is no exception with resources like FREE e-books and STEM (Science, Technology, Engineering, and Math) workshops for children and teens! To learn more, visit your local branch during National Library Week. LUNCH & LEARN AT THE INTERLACHEN LIBRARY: We’ll be “Highlighting Women and the History of our Community” on Tuesday, March 13th at 11:30am to 1pm. Our Women’s History Month Guest Speaker will be Carolyn Bennett. She is a town council member, retired educator, President of the Historical Society of Interlachen, and community volunteer. Carolyn has been a resident of Interlachen for 23 years. Feel free to bring a brown bag lunch. Drinks are provided by the Friends of the Interlachen Library. Lunch & Learn is held every second Tuesday of the month. For more information, call Marilyn at 386-684-1600. The Interlachen Library is located at 133 North County Road 315 (across from the high school).